One-time Madisonville resident Matt Klinker picked up his fourth win of the season for the Louisville Bats in the team’s 8-4 victory over Charlotte. Center fielder Michael Griffin was 2-2 with two home runs, three RBI and two runs scored. Lexington Legends right-handed pitcher Tanner Bushue scattered three hits in seven shutout innings to lead the Legends to a 3-1 win over Rome. Bushue struck out five and walked just one in the game to earn his fifth win of the season. Former UK outfielder John Shelby slugged his seventh home run of the season for AA Birmingham and was 2-3 with one RBI and two runs scored. London native Jon Townsend slugged his fourth home run of the season, drove in four runs, tallied two hits and scored twice for high A Rancho Cucamonga. 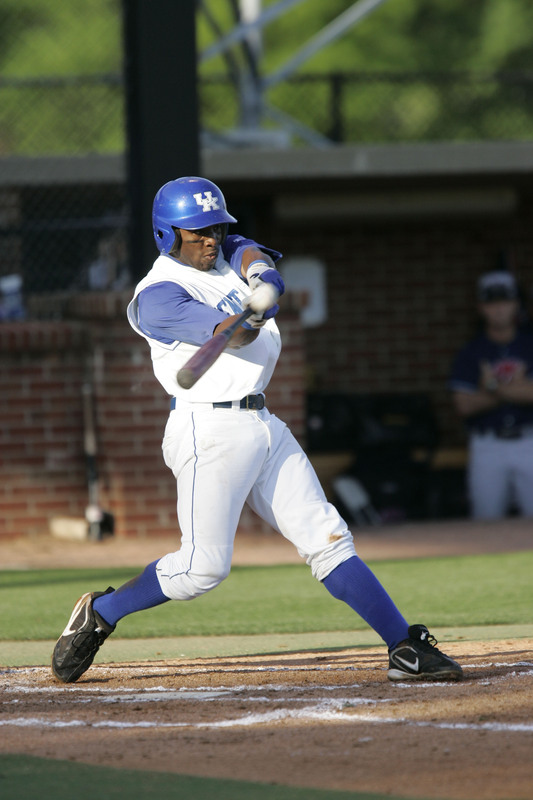 Former UK catcher and 2010 Astros NDFA Marcus Nidiffer slugged his seventh home run in just 26 professional games for rookie-level Greeneville. Former UK outfielder Collin Cowgill was 3-4 with a double, triple, one RBI and two runs scored for AA Mobile. Former UK infielder Michael Bertram was 3-4 with a double, three RBI and one run scored for AA Erie. Former UofL left-handed pitcher and 2010 Cardinals draftee Bob Revesz pick up his first professional win with a scoreless inning and one-third for rookie-level Johnson City. Former UofL outfielder Boomer Whiting scored three times for AAA Syracuse and was 2-4 with a stolen base. Former WKU infielder and 2010 Phillies draftee Matt Payton scored three times and was 2-4 with two walks and a stolen base for the rookie-level GCL Phillies. Elizabethtown native Nathan Adcock took the loss for high A Bradenton despite allowing just three runs in six innings. He struck out six and walked just one.